If the financial crisis confirmed anything, it is that the majority of humans are followers, not leaders, and that leaders throughout our society have yet to capture the significance of technology to their members and organizations. Above is a screen capture of an internal Kyield document that displays a graphic and text illustration of the high costs of data silos to individual organizations, regions, and society based on actual cases we have studied; in some case based on public information and in others private, confidential information. This is intended for a slide-show type of presentation so does not go into great detail. Suffice to say that human suffering, lives lost, and wars that could have been prevented that were not are inseparably intertwined with economics and ecology, which is why I have viewed this issue as one ultimately of sustainability, particularly when considering the obstacles of silos to scientific discovery, innovation, and learning as well as crisis prevention. A topic of considerable discussion, debate, and thought for a great many of us long before a series of ever larger crises, the Santa Fe Institute (SFI) chose the theme of complexity in regulation for their annual meeting, which just concluded. I was fortunate enough to attend last year’s 25th anniversary meeting at SFI, but this year I was only able to view the final full day via webcast, which was excellent. Prior to sharing my thoughts on the important topic of simplifying regulation in a future post, which will be covered more extensively in my book in progress, I want to focus a bit on SFI. The official SFI about page can be found here, although having written many of these descriptions myself; I’ve yet to write or read one that captures the essence of the organization, people, or contributions, so please allow the liberty of a few additional lines in first person. I have been following SFI regularly for 15 years, and since moving to Santa Fe nearly two years ago have had many interactions. SFI essentially pioneered complexity as a discipline, but is also a proponent of what I now refer to in my own work as a mega disciplinary approach to truth seeking, without which frankly many researchers and their cultures can become blinded. 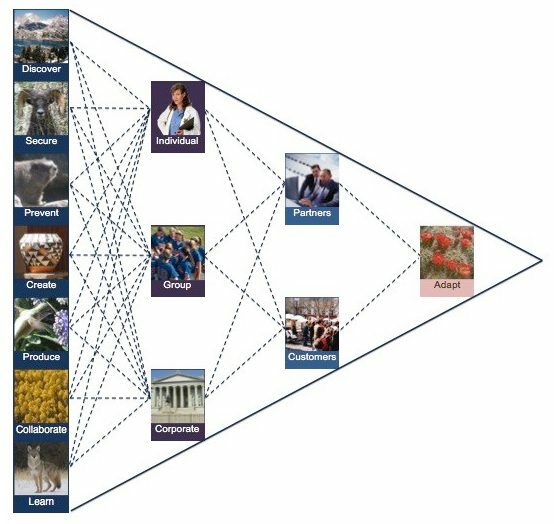 One of several strengths of SFI is their ability to draw from a very broad universe of scholars, each of whom is a leading expert in a specific discipline, but also shares an interest in both complexity theory—which affects everything else, as well as the need to work across disciplines in order to learn from each. Prior to immersing myself in the many disciplines surrounding IT and computer networking, I was a business and organization consultant who earned most of a modest income assisting mid-market companies attempting to compete with market leaders. Most of my time, however, was invested with small and emerging companies and communities, with a particular interest in remote tourism. In my daily filtering of news and intelligence, I usually find one or more quotes on innovation that blatantly abuses the term for some other agenda. While such efforts are obvious to me, they are obviously not obvious to many or presumably such attempts would not receive so much digital ink. It’s an issue that has bothered me for many years, with almost daily reminders, so this morning I am taking a bit of time to clear the air. The theory emerged gradually over several years of hyper intensive information management in my small lab on our property in northern Arizona (we are currently based in Santa Fe after a year in the Bay area). The experimental network called GWIN (Global Web Interactive Network) was designed after several years of previous high intensity work in our incubator, which followed a decade in consulting that was also drawn from. The GWIN product was entirely unique and intentionally designed to test the bleeding edge of what was then possible in computer and social sciences. We were particularly interested in filtering various forms of digitized intelligence worldwide as quality sources came online, conversion to useful knowledge, weaving through academic disciplines, and then mix with professional networking.